(2014/Big Harp George) 12 tracks. Big Harp George/George Bisharat is a San Francisco Bay Area blues singer and harmonica player who features the chromatic harmonica. George is a professor of criminal procedure and practice, Islamic law, and anthropology of law at UC Hastings College of the Law, expert commentator on law and politics in the Middle East, and former San Francisco public defender. His writings have appeared in The New York Times, The Wall Street Journal, The Washington Post , and many other publications in the U.S. and abroad. George counts George 'Harmonica Smith,' William Clarke, and Paul deLay as major influences on his chromatic playing. The chromatic (compared to the ten-hole diatonic more common to blues) has a distinctive voice, and lends Big Harp George's sound a jazzy, contemporary, and sophisticated feel. George has performed around the world, and recorded as a session player on a variety of recordings, including several projects with renowned U.K. bluesman Otis Grand. 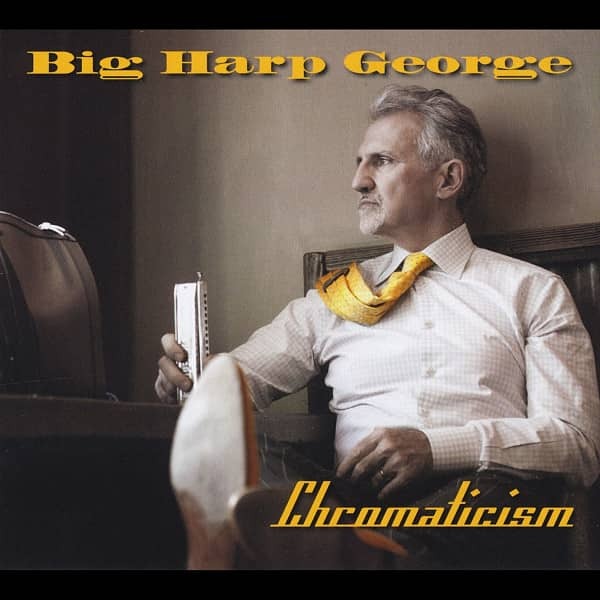 Big Harp George's first recording as a feature artist is Chromaticism (2014), in which he is accompanied by Northern California blues standouts Little Charlie Baty, Kid Andersen, Rusty Zinn, Chris Burns, and others.